Morinosuke Kawaguchi often points out how subculture inspires innovation. Japanese media artist Hachiya Kazuhiko took this literally. 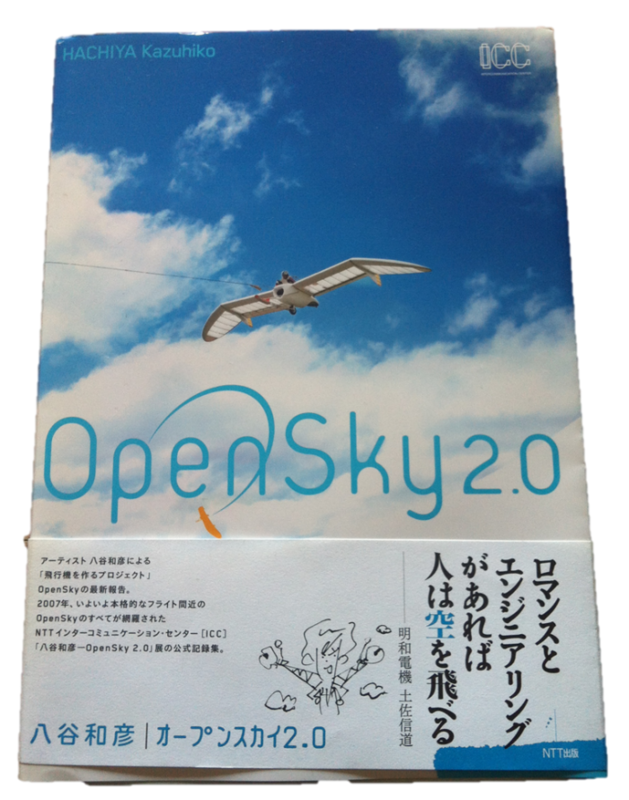 A big fan of Hayao Miyazaki’s masterpiece “Nausicaä of the Valley of the Wind”, Hachiya Kazuhiko launched the Open Sky 2.0 project in 2003 to build Nausicaä’s aircraft Maeve. The project is documented in this book “Open Sky 2.0”. It is a bilingual book (Japanese and English) that narrates and illustrates the fascinating journey to create a feasible personal jet glider. Note also that Maeve was never about combat and reflects Nausicaä’s character just beautifully.